Revitalize and relax your skin and mind. Simplify and Elevate your routine. 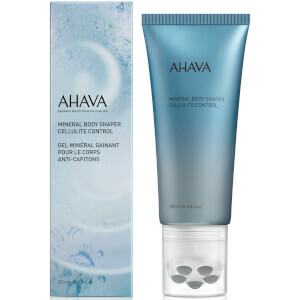 Founded in 1988, AHAVA has become internationally recognized as a pioneer in the Dead Sea industry. 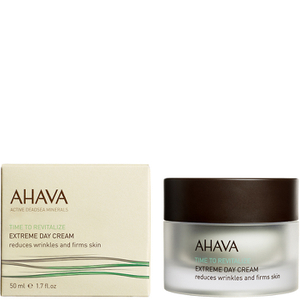 AHAVA has secured its spot as a leading Dead Sea skincare expert. Harnessing the power of pure and healing minerals directly from the Dead Sea, AHAVA produces luxurious and effective products that are clinically proven to protect, nourish and rejuvenate your skin. Unlike any other Dead Sea influenced brand, AHAVA’s collection of products include ingredients that are developed directly by the company’s own researchers. This means that AHAVA will provide you with formulas that you will simply not find anywhere else! Shop AHAVA and indulge in a range of skincare, bath and body products that are enriched with the finest Dead Sea nutrients. Approved for users who may suffer from allergies or sensitive skin, AHAVA’s collection has something for everyone. At its heart, AHAVA is a love story between people and one of the most mystical places on Earth, the Dead Sea. 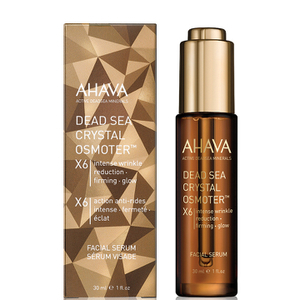 Founded in 1988, AHAVA, the internationally recognized pioneer in the Dead Sea industry, has secured its spot as a leading Dead Sea skincare expert. Harnessing the power of pure and healing minerals directly from the Dead Sea, AHAVA produces luxurious and effective products that are clinically proven to protect, nourish and rejuvenate your skin. Unlike any other Dead Sea influenced brand, AHAVA’s collection of products include ingredients that are developed directly by the company’s own researchers at the Dead Sea. This means that AHAVA will provide you with formulas that you will simply not find anywhere else! Shop AHAVA and indulge in a range of skincare, and bath & body products that are enriched with the finest Dead Sea nutrients. Approved for users who may suffer from allergies or sensitive skin, AHAVA’s collection has something for everyone. With high air pressure, low UV radiation and little allergens, the Dead Sea is a unique environment that allows the water and mud to contain a special combination of minerals. AHAVA acknowledges the rare qualities that the Dead Sea provides and utilizes these elements in each and every one of their products. 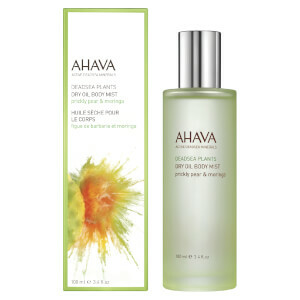 AHAVA prides itself on its use of natural and eco-friendly ingredients. One of AHAVA’s most potent ingredients, osmoster, runs through the entire product range. 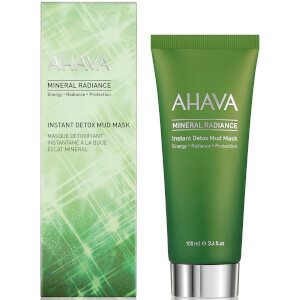 Containing a perfectly balanced blend of Dead Sea minerals that replenish and recharge the skin, you are guaranteed to receive optimum quality in every AHAVA product that you purchase. Other components include date extract, kiwi extract, flax seed extract, Dead Sea mud, brown algae, shea butter, vitamin C, witch hazel and lotus flower extract. size or a single sachet! 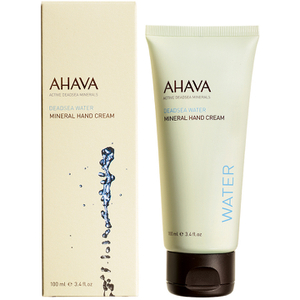 The AHAVA Mineral Hand Cream is the perfect solution for dry and overworked hands. Dermatologically tested, this velvet smooth cream will provide your hands with a soothing sensation and instantly relieve any soreness. The rich formula will nourish and hydrate your skin, leaving your hands feeling soft and supple whilst looking revitalized and youthful. This cream’s unique formulation will allow the product to seep into any cracks or dry patches in your hands, leaving your skin feeling nourished without any greasy residue!